The national testing system in English schools is being misused to the detriment of children's education, says a report from a committee of MPs. The Commons schools, children and families committee says teachers spend too much time "teaching to the test". "The inappropriate use of national testing could lead to damaging consequences," warns the report. Schools Minister Jim Knight welcomed MPs' recognition that the "principle of national testing is sound". With hundreds of thousands of 11-year-olds in England taking "Sats" tests this week, the select committee report warns that the tests are being used in a way that does not benefit children or the schools system. 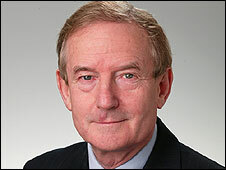 "In an effort to drive up national standards, too much emphasis has been placed on a single set of tests and this has been to the detriment of some aspects of the curriculum and some students," says committee chairman Barry Sheerman. While supporting the idea of national tests, the report from MPs says that an "over-emphasis" on their results can distort how children are taught and "children's access to a balanced education is being compromised". 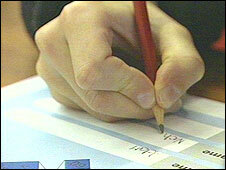 It also criticises the single-level tests which are being piloted as a possible alternative. These tests, taken when teachers think pupils are ready to go up a level, are likely to perpetuate the drawbacks of the Sats, such as narrowing the curriculum, suggests the report. And it warns that the single-level tests' "one-way ratchet" system will lead to an "artificial" improvement in results, in which pupils will be "certified to have achieved a level of knowledge and understanding which they do not in truth possess". The report calls for a reform of the school performance tables, which for primary schools are based on the national test results. It suggests that accountability should be based on a wider range of measures, including Ofsted reports. Schools Minister Jim Knight defended the use of national tests as part of the process of assessing progress for pupils, schools and the education system. "Along with teachers' own judgements and Ofsted reports, tests are a tool which help pupils and their parents to understand how well they are doing, help parents and teachers to understand how well their school is doing, and help the public to scrutinise the performance of the schools system. "That's why they are here to stay. Parents don't want to go back to a world where the achievements of schools are hidden from them." Mr Knight was asked on the Today programme on BBC Radio Four whether pupils were being put under too much stress at too early an age. "If you don't have the tests at 11 and 14 then there's a danger that children then hit the very high stakes, high stress of GCSEs across the whole curriculum - not just English, maths and science - and the preparation that they get through sitting these Sats at 11 and 14 is in that respect good for them even though it might be a slight level of stress." But Christine Blower, acting general secretary of the National Union of Teachers, said the report identified the "poisonous effects of testing". "The government now stands isolated on the future of national curriculum testing. It has steadfastly resisted the mounting evidence of the damage caused by the tests to the curriculum and children's learning," said Ms Blower. Chris Keates of the NASUWT teachers' union said: "It is pleasing to note that some aspects of the report confirm what the NASUWT has been saying for years, that the root of the problem is not the system of national testing but the performance league tables and other aspects of the not-fit-for-purpose accountability regime into which the test results are fed." John Dunford, leader of the ASCL head teachers' union, said that the government should now "finally take seriously this groundswell of disapproval of the current testing regime". "The original purpose of examinations, to assess students' progress, has become confused with school accountability and the performance management of teachers," said Dr Dunford. The heads' union calls for random sampling to monitor standards, rather than targets based on national tests.